Joining two of the best local operators to create an award winning combo. Join the team at Skydive Geronimo for an exhilarating Tandem skydive designed to thrill and excite and then slowly ease back into your holiday with a fun day out exploring the region’s most sought after wines with Top Drop Tours. What a combination! Experience the Margaret River region from glamorous heights skydiving the most spectacular locations this region has to offer and then taste your way through Margaret River’s world-class wine region on a small group wine tour with Top Drop Tours. At Top Drop Tours we love wine and find the characters and the processes required to create amazing wine fascinating! On our tours we celebrate the amazing produce of the Margaret River Region. Let us introduce you to some of the fabulous wine, delicious food, unique characters and spectacular scenery that make this a wonderful part of the world. 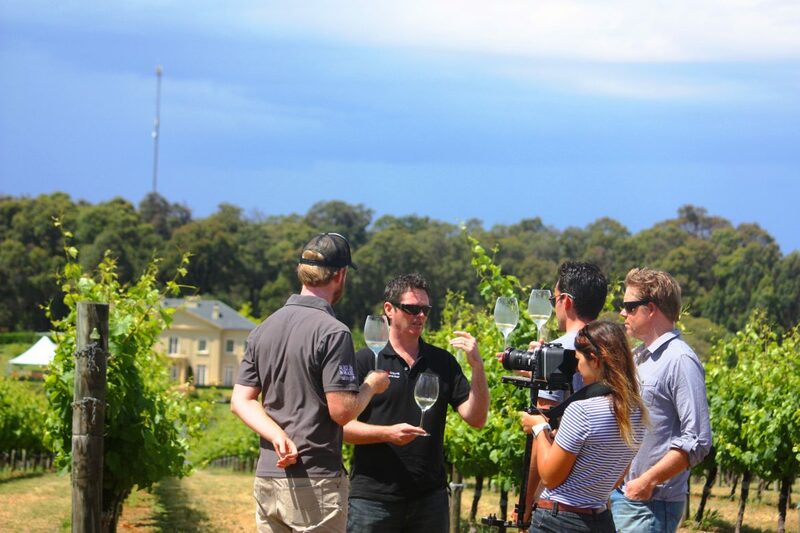 Join Australia’s most highly awarded tour operator, Top Drop Tours, on this group tour and sample a selection of Margaret River’s world class wineries at around five of our favourite vineyards. Tour includes a delicious winery lunch and a glass of wine per person. Tour Pick- ups and drop offs from local accommodation in Margaret River, Dunsborough, Yallingup or Busselton (subject to availability). Package price is costed per person / minimum of 2 people. Subject to availability and schedule at the time of booking. Tour costs do not include tasting fees or provisions that may be charged by some wineries. All Top Drop Tours tour bookings made are subject to Top Drop Tour’s Terms & Conditions. Not skydiving? Friends and family who just want to watch the skydiving fun can still join in, choose your tour of choice and we will be happy to make your booking for you. Top Drop Tours have other touring options available – feel free to enquire. Book early to secure your place. If you have family and friends joining you for your skydive why not have them enjoy a day out touring the region’s wineries while you celebrate your adventure. Additional participants can be added at the time of booking.